should be your Pinterest secrets be? Maybe you are a teacher who likes the school craft projects you come across. Perhaps you'd rather not have co-workers who follow you re-pin your project and get to it before you do. 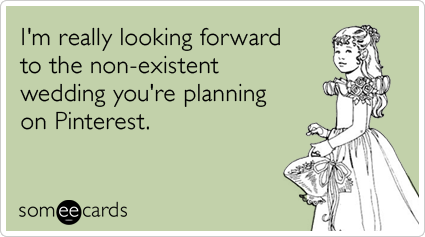 Or maybe you'd like to plan a surprise party for a colleague or a loved one. Would you like to have a wedding board? Perhaps you haven't created one yet because you want to avoid the embarrassment of one of your followers posting an e-card like the one below to your account. There's a secret board for that. No one will ever know, except YOU the creator (unless you invite someone to it). 1. Log into Pinterest, and click on the link to your profile (on the top right of the screen) where all your boards are showing on the page (see below). 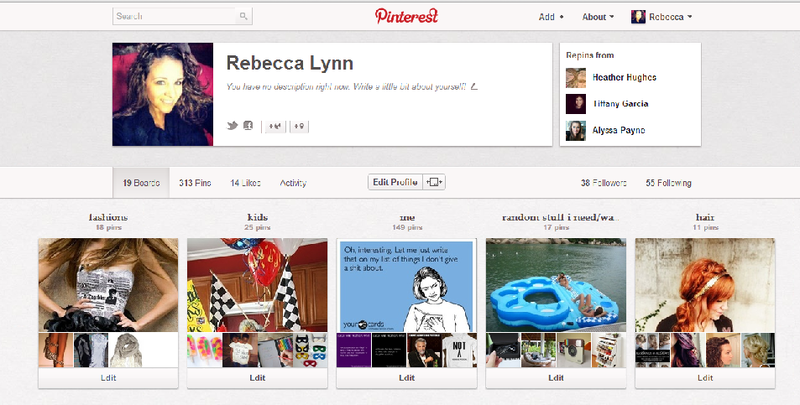 This is my Pinterest profile and a list of my boards. 2. Scroll all the way down and, et voila! You'll see a space for your secret boards (you can have up to three). Click on this area to create a secret board. 3. 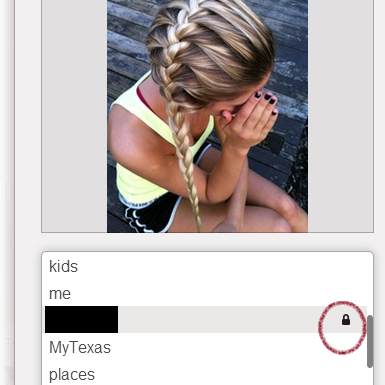 Create your board before you search for pins by clicking on Create a board under Secret Boards. The secret board title will look like your other board titles, except that it will have a lock icon. 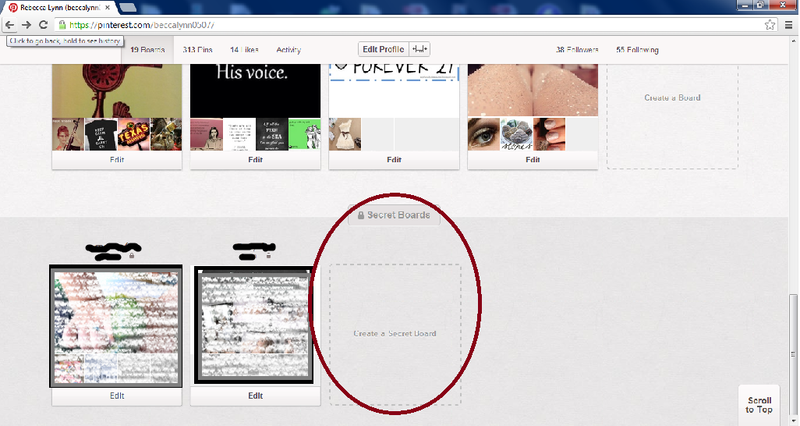 When you find pins you'd like to keep secret, click on your secret board after you click Repin. No one can see your secret board except for you. Becca Escobar is a junior Broadcast/Journalism major at Tarleton State University and an intern for TSMRI. You can find her on Twitter @Beccaescobar87.